Many people are also are one of their primary, if not the primary, visitors to their own website. That makes sense. You are the one checking to see if your site is operating well. You are the one visiting to make updates and maintain the site. You are the one showing the site to your mom, friends and colleagues. Chances are you are not so interested in how many times you visit your own site. To not skew your website traffic statistics, it is advisable then to filter out your own traffic from your Google Analytics results. 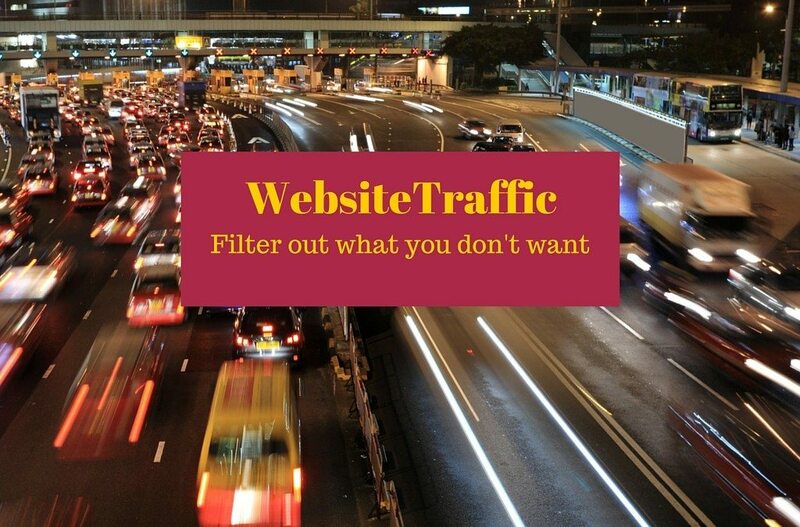 To filter out your own traffic is a very simple process. An easy method is to filter out traffic from your IP (Internet Protocol) address. Your IP address, a series of one-to-three digit numbers separated by periods (e.g., the randomly picked 47.701.97.188) generally speaking, identifies your particular computer (or router). To determine your IP address simply visit whatismyip.com. That website will tell you what your IP address is. There are similar websites that do the same thing. Armed with that information, sign into your Google Analytics account. Choose “New Filter”. Create a new filter. Give it a name. To block traffic from your IP address, indicate “exclude” “traffic from the IP addresses” “that are equal to” and enter the IP address in the boxes. You may therefore want to check back at regular intervals just to make sure that your IP address has not changed and that Google Analytics continues to filter out traffic from your IP address. Happy traffic monitoring! Update: And check out this blog post to learn how to block a range of IP addresses. Do you have a good idea about making sure you’re monitoring only the traffic you want to? Leave a comment below. We can help you to understand your website traffic. Glad you found the tips of use! An interesting and well-written article. I find that on the blogger site, even though one will press the “do not view your own page views” button, blogger (google) will count them any. So what is the point?